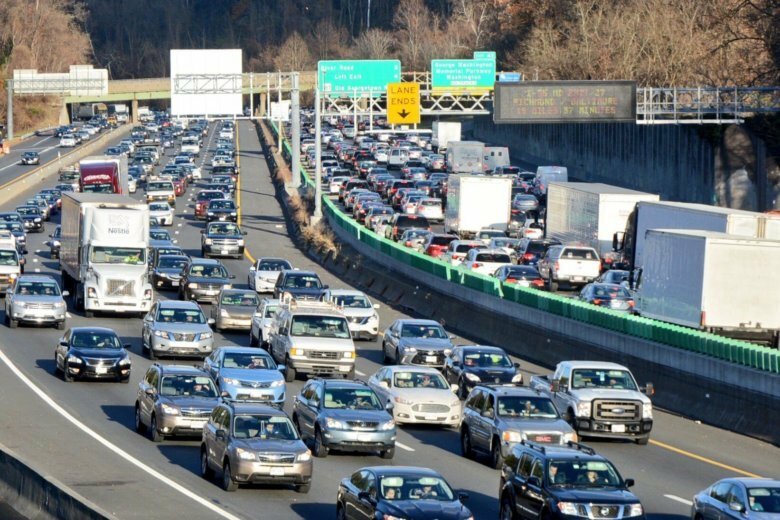 Soon after Virginia announced its plans to extend Express Lanes almost three miles from Tysons Corner to the American Legion Bridge, Maryland has confirmed a new bridge will be equipped to handle extra traffic. Without committing to a precise timeline, Maryland’s highway administrator, Greg Slater, said a new American Legion Bridge will be built within the next several years. Virginia Gov. Ralph Northam announced Tuesday new Express Lanes will run in each direction of the Beltway from the Dulles Access Road to the Legion Bridge at the Maryland border. Construction could begin next year. The announcement left open the question: How would Maryland deal with more traffic on the bridge, that currently carries four lanes over the Potomac River, into Maryland? In each direction, the bridge has four through-lanes, and one exit lane. “The only way to address that bridge, and have more capacity on that bridge, is to build a new bridge,” Slater said. Valentine was asked how, and how quickly the new project would provide relief to those who currently deal with overflow traffic. Currently, about a quarter million vehicles cross the bridge daily, but over the next 20 years planners estimate that will climb to 300,000 per day.